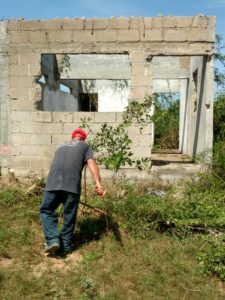 We are in the process of building our home in Mexico. It has taken us a little over 15 years to purchase the land. We bought it in sections a little at a time. This year we decided we have enough land and it is time to build our farm starting with the house. We break ground to build the main house this Monday. For us it is an exciting journey. Because we are retired and in our “Golden Years” almost all of the family is against us building in the hills overlooking Puerto Vallarta. But we have never really “retired”. We have over 100 chickens, a few ducks and some turkeys. We just started raising the ducks and turkeys, but Maria already has a good business with the hens eggs and now she has added the duck eggs and found a market for them. The budget is tight but very doable with a little wiggle room for those unexpected things that always happen when you build from the ground up. you live in the hills. The electric company does not have enough manpower to work in those areas until there are more people to make it worthwhile. 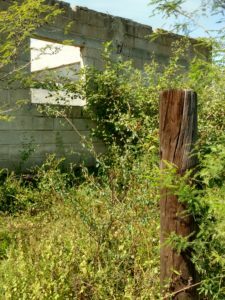 Here in Mexico, you hire a guard or night watchman if you have building material or you might just arrive the next day to find that somehow it all disappeared during the night. The night watchman always has a dog and some form of protection. We were going to build a little lean to for the watchman to stay out of the weather but Maria noticed that there was a “Lost forgotten dream” just across the street from our property. We looked into it and it was available for $65,000 pesos so we bought it. We are having a roof put on it, adding doors and windows and we will then have a place to store the tools overnight as well as keeping the bags of cement dry should there be any wet weather. It had heavily overgrown when we bought it and I failed to get any pictures before it was cleaned but it will make a nice guest house once all the building is complete. There are thousands of properties like this spread across Mexico. A lot of them are available on the market. 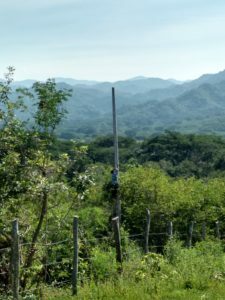 We bought this including the land for 65,000 pesos which in todays market is $3421 USD. Of course it is only for those with an adventurous spirit, a love of the land and a willingness to adjust to a few day to day challenges that they might not be familiar with. There is a room in the back where the toilet and shower will go and that is scheduled to be installed in a couple of weeks, after the septic has been build behind the house. This first picture, you are looking directly through the part of the building that was there when we bought the land. It will be a nice bungalow when completed. The doors and the roof go on tomorrow. We are still pricing out the windows. We only have another week to get that complete before we start getting the building material delivered for the main house. When this side of the bungalow is cleaned there will be an area for a small meditation garden. There is so much more going on during this time in our lives it is indeed a great adventure. 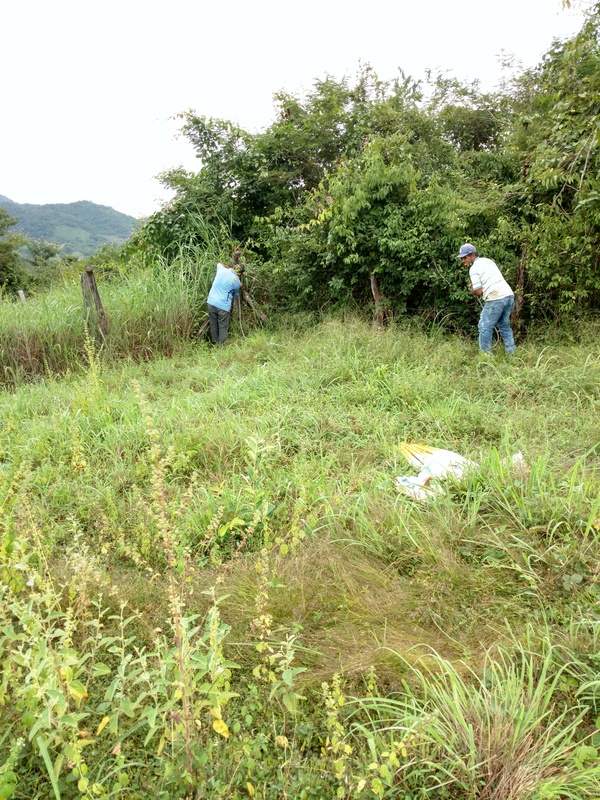 We have been meeting the farmers and ranchers in the area as well as many people that are living in their dreams as they work on them. The one you see that we are working on finishing, was abandoned 10 years ago and has been sitting there waiting for someone to come finish it before nature takes it back. Actually it does not take nature all that long to reclaim buildings like there when they are left alone. Trees will start growing up the the cement floors, vines around the windows etc. and before long you might just drive past them and not even notice they are there, or what is left of them is there. Like I said earlier, if you have the pioneer spirit and are willing to do a little hard work there are still hundreds of places just like this scattered around the country. If you think this is something you might be interested in I suggest you start reading Mother Earth News because it really does take a pioneer spirit for the first couple of years. I live a ketogenic lifestyle here in Mexico. It can be a challenge because you need to find restaurants that serve foods you can eat. Salads can be very hard to find. There are not many places that serve salad unless you are visiting one of the bigger towns. I have some nice keto/paleo recipes to share with you while writing about the building adventure. . 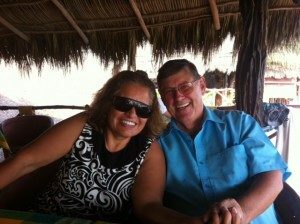 I have decided to write a lot of blog posts and then put them into a kindle book to help others that might be thinking of building/retiring here in Mexico. To that end, I invite your comments and questions. It will help me include information that I might overlook. I will update this each week so that you can see the progress.